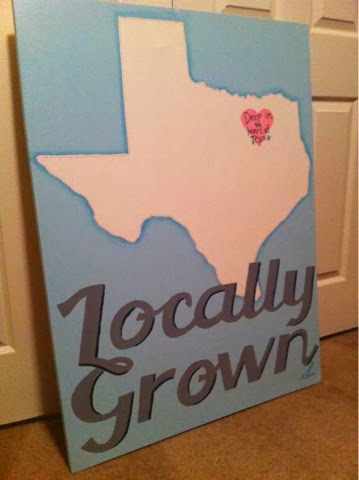 This simple design made its way to Dallas this weekend for a friend that is expecting twins. We collaborated on a few ideas, but the design was a surprise. Its hard to see, but the heart says "Deep in the heart of Texas" on it. Can't wait to see it hung in her pink and blue nursery!